In the last few weeks there has been a notable increase in the activity in the town focused on the water. The trout season is open, with fishermen on the Dugway wall, in the Farmington, and fishing by boat in Lake McDonough (Compensating Reservoir) and in West Hill Lake. One really knows that summer is not far, despite the weather, when one sees the buses for the Farmington River Tubing staged down by the Satan’s Kingdom bridge. That business only dates from the 1970s. But, swimming and water sports have been popular for much longer. Until 1936, the Greenwoods Pond on the Farmington was an ideal place for yacht races and other such sports: formed by the power dam, it backed up a long sheet of water nearly to Pleasant Valley in Barkhamsted. 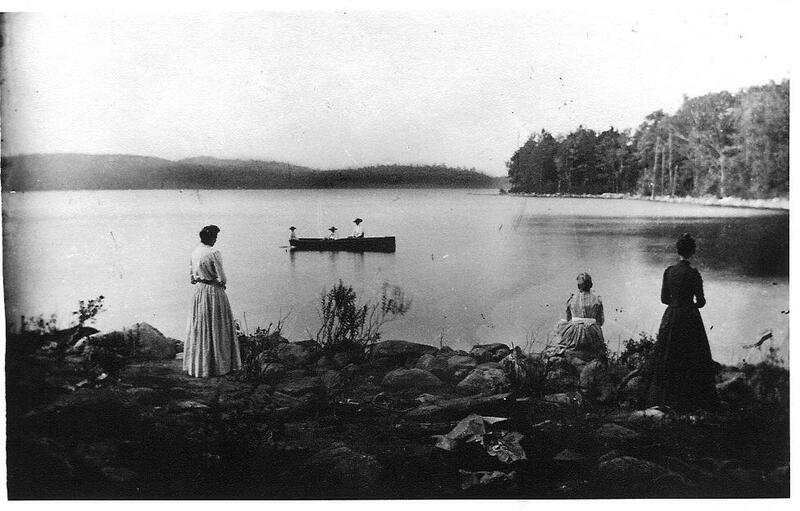 Equally popular was West Hill Pond, which in the late 1800’s had the sense of romantic wilderness which made the Hudson River and the Adirondacks beloved summer places. Only, West Hill was much easier to get to.